PouredOver field trip; Hario USA. "A smattering of Edwin's imports were on a table near the door. Roasters from Mad Cap in Grand Rapids, MI to Square Mile of London, UK have provided samples of their finished product." Amtrak canceled the north bound service out of Seattle this morning, citing track maintenance. As a testament to the mass transit squalor in this country, they scheduled a bus, instead - and it's faster. So I'm headed to visit with Edwin of Hario USA and Finca Vista Hermosa by bus. 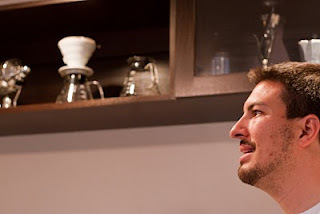 Edwin and a shelf of Hario stuff. Just when I was bumming out about having booked train travel intentionally and missing my mark, I met Jon. "These people", Jon said in the station, sitting on a twenty foot long wooden bench. A bench made from real wood with tall backs, over head even, without arms or other devices to keep you from laying down. Jon is really hating life. He scheduled train travel from Chicago to Seattle on the Empire Builder, one of the oldest, longest lines in the nation. "I wanted to go on this train trip because I design and build highways in the Chicago area." he told me. It's plain to me that Jon feels bad about building roads and his train trip is a kind of soul search. Amtrak canceled that trip too, citing more rail maintenance. At least I got to ride Seattle's Link Light Rail to the Amtrak station. This bus is ridicules, it's nicer than any coach class train car I've ever been in. It has genuine synthetic leather seats, little movie screens and a bathroom. They feed us single-serving pastries and orange juice from concentrate. The bus driver gives his safety speech, and goes on a tangent in the middle: "The rest room is in the rear. Gentlemen, please sit when you use the rest room, the ride is a little bumpy and..." I get the feeling that he also cleans the bus. Bellingham, WA is cute and a college town. It's under the plight of the college and business is chained to the school schedule. The air is clear and the ocean is close. Bellingham is that place you'd love to live, but could never find a job. Anticlockwise from centre; Scott, Tim, Aaron, Nathan, Edwin and Kelli. On the ground floor of a condominium, a three group Linea and a two group Simonelli compliment the syphon bar and piles of pour over equipment. 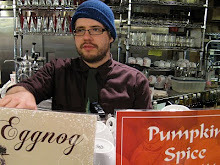 Edwin's company, Onyx Coffee, is right downtown and next to the infallible Boundary Bay Brewery. The coffee lab is small and well equipped. The welcoming space is long and narrow, with east-facing windows. As I arrived, I was pleasantly surprised to run into Velton Ross of Velton's Coffee Roasting Company, on his way out. 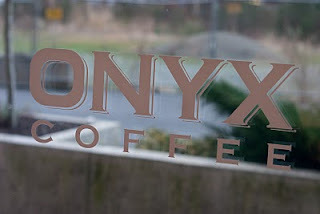 My time in the Onyx lab was happily shared with a crew from Herkimer Coffee. A smattering of Edwin's imports were on a table near the door. Roasters from Mad Cap in Grand Rapids, MI to Square Mile of London, UK have provided samples of their finished product. We brought plenty of our own, Herkimer roasted from; Brazil, El Salvador, Ethiopia, and Indonesia. Lots of coffee roasted round the world. 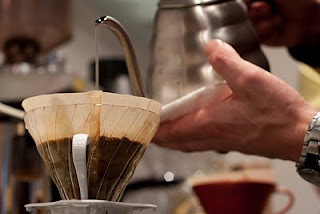 The Hario V60 was the flavor of the day and we dug right in. Edwin brewed the first one and then let us run with it. I'm used to the idea, and although all of the visitors have poured over, I happened to be the only one with significant V60 experience. We talked about flow rates, grind and filters. Edwin illustrated flow rates by running water through various pour over devices under the faucet. The V60 was the only one that didn't hold any water; the flow on all of the other devices is restricted by their aperture. It took us a couple to dial in but the coffee was superb. We played with temperatures from 198 to around 204 depending on the roast and origin. Having Scott, lead roaster at Herkimer, in the room made dialing in an exacting and rewarding effort. I love the mouth feel in just the right cup of pour over coffee. 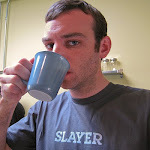 V60 Pour from pouredover on Vimeo. Tom, I don't know much about coffee but you have my mouth watering. Stay in touch. Yooooo. When are you going to come visit in Michigan so we can roll up on Mad Cap? I was just talking with Trevor a few weeks ago about visiting them.